We all know that things of great worth are achieved after a greater struggle and after a lot of hard work, we can never fast forward time with the time machine, we can never climb over the mountain top in the start, of course at first ladder by ladder is all that has to be stepped up. So patience and perseverance is the key, you get to set some aims and then follow your dreams. Everyone has a desire to study in the world’s best university, and opt for subjects that are in demand, then get hired by the big organizations. Well this is probably all possible when one has the conviction and determination to do anything, also not to get fret over the challenging stuff, and be steadfast to leave no stones unturned. In the field of graphic designing, it is more like a test drive where you check and balance all the cuts and pieces of your artwork, you try out software that can do big wonders, but then you end up on a single aspect which suits your skill. A good design is a good business, it will develop you stance, and build a good impression of your work expertise in the corporate world. Your portfolio will speak about your potentials, credentials and specifications of the genres you are good at. So make sure whatever you partake, you must endow yourself thoroughly to it. 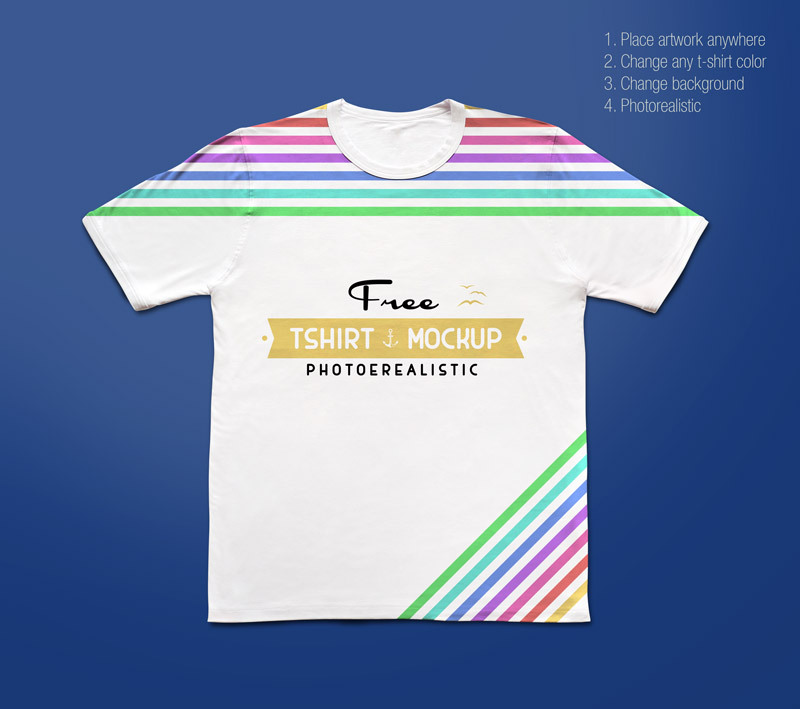 Down here I am presenting before you a free colorful & white t-shirt mockup PSD. Place your design elements into it, typography quote/saying/character or rudiments that you have made for your client. 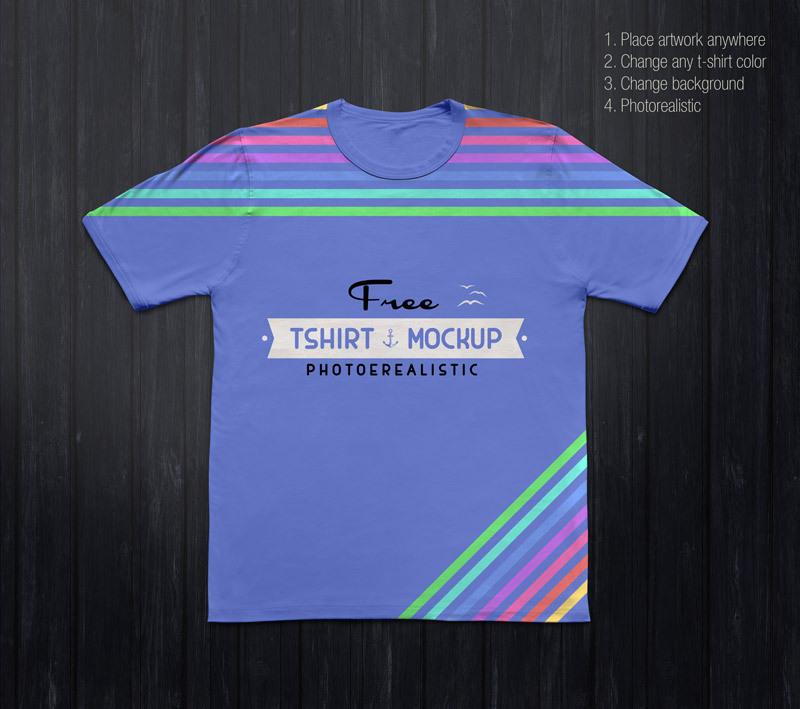 He will get to know how the color scheme will look like, what font is being implied, he will look through the design, its effectiveness and the overall feel of it; this way the approval through mockup becomes a lot easier. Stay tuned for more amazing design dose, we are here to cater you with the best stuff of art, tech and design. Here we go with a bang.